Branding a lush oasis, just a few miles outside of Chicago. 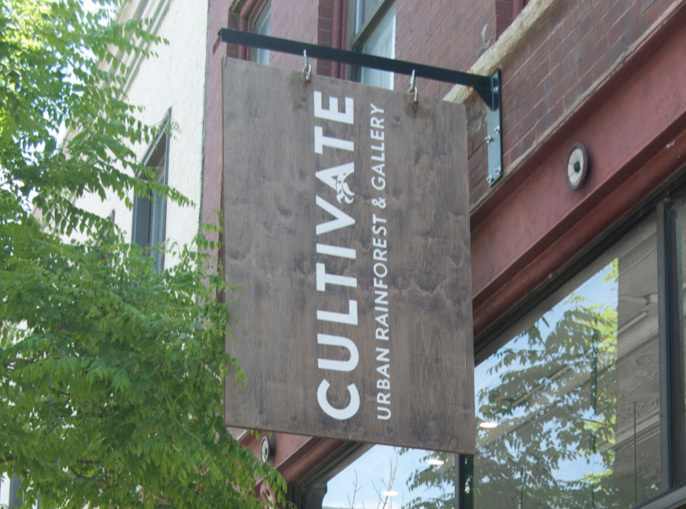 Cultivate balances curated work and plants with a small-town shop feel. No plant snobs here! Their logo and brand look had to match. After an exploration period looking into everything from detailed vintage woodcuts to extremely minimal, we landed on our plant-inspired accented logo. 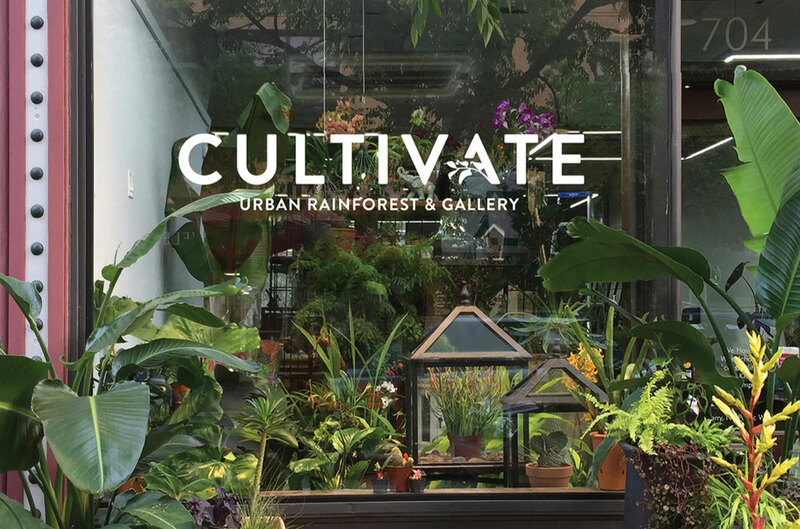 Focusing on a logotype of bold type with a custom flourish conveys a modern, higher-end feeling that can stand strong against a backdrop of beautiful plants, while remaining neutral enough to not distract from the artwork on the walls. 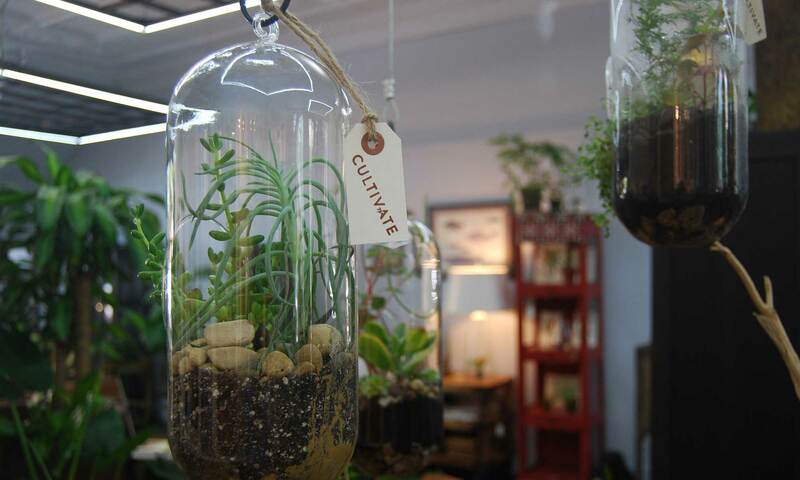 With a small budget and extreme variables in sizes for pieces being sold, Cultivate wanted a flexible way to put their mark on things in the shop. A logo stamp was made in two different sizes, allowing the shop owner to order bags and price tags and brand them as needed. 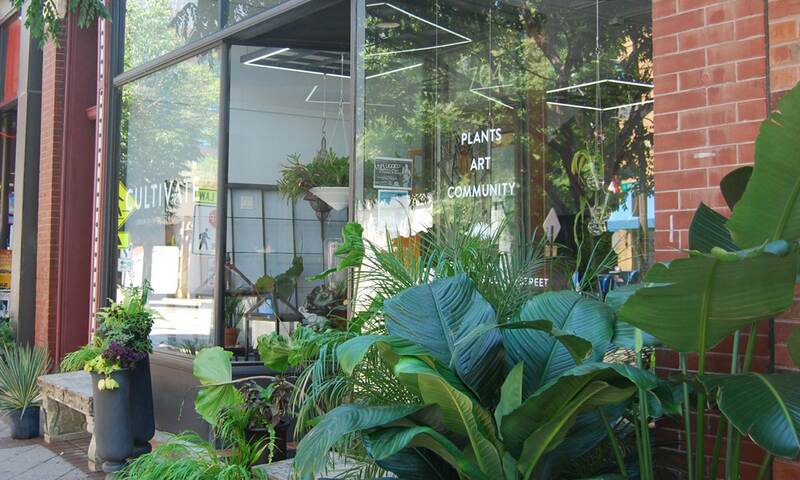 This helped twofold: it cut costs on ordering custom pieces, and reinforced the idea that everything – from choosing the plants, to selecting the artwork, to packaging the purchases – was done with a personal touch. 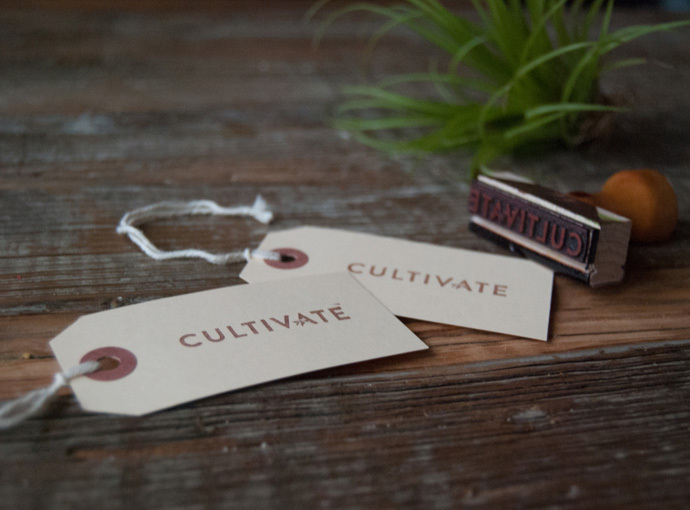 With the shop coming together, the next focus was on Cultivate’s online presence. The space itself is jam-packed with nature and fun, while remaining elegant and welcoming. 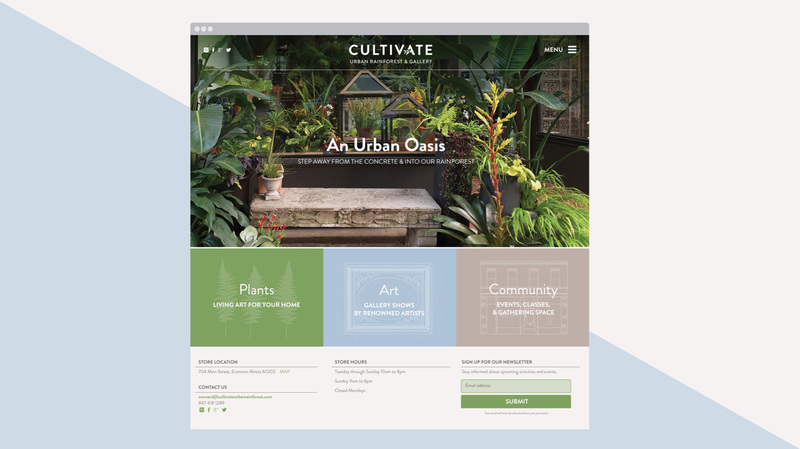 The responsive WordPress website was designed to fill the screen with what you’d find in the shop, balancing photography with custom illustrations that push the message of Cultivate: Plants, Art, and Community. Building out branding for a company that brings together the two best things to wake up to: coffee and dogs.